LAAPOA President Marshall McClain recently wrote a letter to Fox Television regarding its inaccurate depiction of the Los Angeles Airport Police in a recent episode of the show 9-1-1. 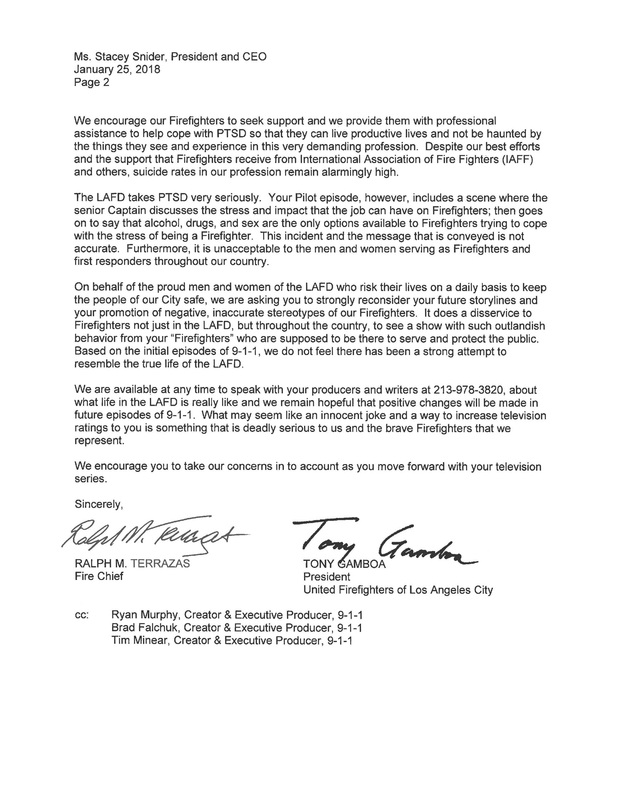 In the following letter, the Los Angeles Fire Chief and United Firefighters of Los Angeles President express similar concerns about the program’s portrayal of firefighters, particularly its trivialization of the impact of PTSD. 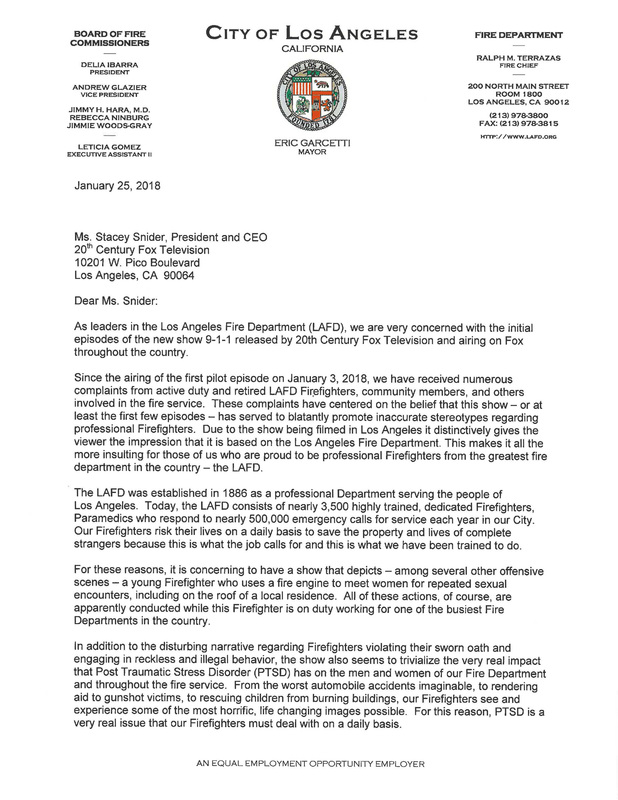 LAAPOA joins them in urging Fox to take this opportunity to reconsider its approach, learn more about the realities that first responders face and accurately characterize them on screen.